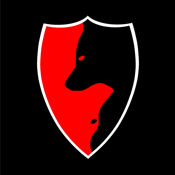 The Big Bad Wolfpack iOS app enables a registered member of the Big Bad Wolfpack Fancorps community to navigate their account on a mobile device. Version 1.0 of the app is built solely for the purpose of viewing, accepting and completing Orders. Users can choose available Orders, share with social media channels and show proof of their efforts by uploading photos or screen shots within the app. Future updates will include News, Events and more.